YMCA Swim Lessons teach technical swimming skills and so much more. 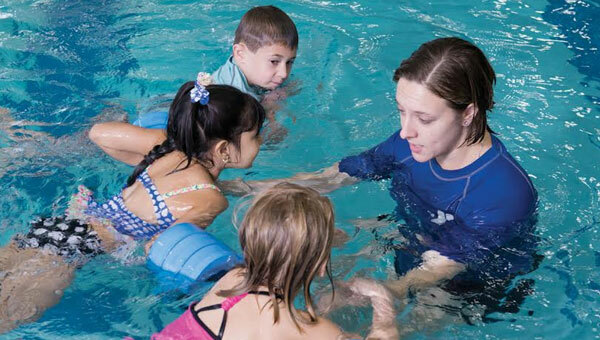 Find out how the Y Swim Lessons experience is unique. Y members get discounts on Swim Lessons. In addition to teaching swimming skills, all lessons include instruction on water and personal safety—from asking permission to get into the water to boating safety principles. The Y is committed to reducing the risk of drowning, which is a leading cause of death among children and adults. The YMCA is centered on four core values: caring, honesty, respect and responsibility. Swim Lessons include age-appropriate opportunities to define, model and celebrate these core values.